Our Three Butter Melt and Pour Soap Base is a detergent free soap base that is opaque and white in color. Luxuriate skin with the moisturizing properties of Shea butter, cocoa butter, and mango butter. The two-pound tray is the perfect size container for projects making (8) 4 oz. bars of soap. The lid allows for unused soap to easily be stored for future use. Sorbitol, Sodium Cocoate, Propylene Glycol, Sodium Stearate, Glycerin, Butyrospermum Parkii (Shea) Seed Butter, Mangifera Indica (Mango) Seed Butter, Theobroma Cacao (Cocoa) Seed Butter, Titanium Dioxide. Sorbitol, Coconut Oil, Propylene Glycol, Stearic Acid, Water, Sodium Hydroxide, Glycerin, Shea Butter, Mango Butter, Cocoa Butter, Titanium Dioxide. COMMENTS: This base feels so AMAZING on the skin! COMMENTS: used it for general soap bars for bathing. lathered up nice and left skin nice and smooth afterwards. COMMENTS: Loved the creaminess and ease of use. All these soap bases are great. I’ve gifted soaps to many of my friends and they all want more. COMMENTS: This was my first time trying this! It worked well. I made a random melt and pour recipe just to see h0w it would be. At first I was trying to figure out why there wasn't more lather. It lathered, but I had to work at it. I didn't realize I bought detergent free...LOL! But everyone in my house still enjoyed it! I just ordered more of the regular 3 butter! looking forward to that lather!! COMMENTS: I actually really liked the three butter blend, it melted great, feels smooth on the skin while washing. I love that the lather with this base was more of a creamy, luxurious feeling. I will definitely be ordering this product again. I should have ordered more! COMMENTS: Love the quality of product. Good bubbles. "Wait extra time between layers"
COMMENTS: First off, very soft and creamy soap, moisturizing and doesn't have any off putting scent. I was atrempting to layer this soap must not have waited long enough because my layers broke. Sad but not the soaps fault! I'm guessing it has a low melting point and needs extra time to cool between layers. COMMENTS: This soap is very nice..creamy lather. It melts easily and handles well. I like the way this soap feels on my skin. I am new to Melt and Pour soap and was unsure how I would like it but this soap helped me to decide to make some holiday soaps for gifts. COMMENTS: Super creamy and moisturizing this base has a great lather too! It really hits the mark on all points. "The best melt and pour ever!!" COMMENTS: I have never found a nicer melt and pour soap than this one! It melts so easy, lathers great, and is really moisturizing! This is the only white base I will buy from now on! Highly recommend! COMMENTS: This was my first time using any of your products and I was absolutely thrilled! Very easy to cut, melted quickly and evenly, took the color well and molded perfectly. I've paid much more for lower quality products. You have a customer for life and I will never order from anyone else again, and I've used several companies trying to find a good price for a quality product. • Nice soft white color...creamy looking. • Very nice texture to finished product. • I really had no problems with this. COMMENTS: It was easy to cut to make melt and pour soaps. The smell is faint, which is good. It was moisturizing and did not make my skin feel dry. COMMENTS: I absolutely love love love this! Really moisturizing and feels like a "real" soap. Normally MP has a heavy, greasy feeling but not this. The best part is it doesn't sweat!!!! I live in a humid climate and have not had one issue. It takes colors really well and scents, no fading. The bubbles are amazing and creamy, my customers love it! COMMENTS: From the moment I touched this soap, I could feel how creamy and moist it was, compared to my goats milk MP I usually use. I bought 2 pounds of this baby buttermilk to try it, I think I like it better. I’ll be ordering more for sure. COMMENTS: My go to soap for melt and pour is the triple butter. Tried the detergent free and was no disappointed. Nice, base soap. COMMENTS: Very nice lather and easy to work with. COMMENTS: LOVE THIS ONE. I ORDERED THIS LOOKING FOR A PURE WHITE BASE FOR DETAILS, AND IT NAILED IT. ORDERING MORE, THAT IS FOR SURE. COMMENTS: I absolutely love the Three Butters M&P soap! It's so creamy and lathers great. My customers are loving this as well. I'm expanding my soap line using this base as one of my primary soaps. I combined that with the Milky Way Flip Flop mold and customers were raving about how much they loved the soap. COMMENTS: I'm a newbie (1.5 yr) to WSP and so so so happy to be!!! When creating my products-- my goals are: quality, quantity, purpose & appeal for the bang!! I achieve that with my shopping and, purchased selections-- from WSP!! I love everything ive received from this supplier-- as I do buy from 2 others, because sometimes not avail via WSP. I PLAN TO CONTINUE TO PURCHASE MY SUPPLIES FROM WSP-- simply because I'm a satisfied customer operating a wonderful small business with the help of WSP!! In addition, I also, appreciate WSP for their generosity-- offering their customers use of "Freebies" ie, recipes, discounts, reduced S&H, which can really may a $$ difference!!!! Lastly, I really appreciate the quick turnaround time-- I, consider all these elements a real bonus:-) Thanks & alllllllllll the very best in all areas... WSP! "Detergent Free Three Butter Soap"
COMMENTS: I simply can't say enough about this product. My customers request this soap. They say it is cleans without striping the oils from skin. This is a keeper. "Best Melt and Pour I have ever used"
COMMENTS: I have used a number of different bases but I always go back to this base. Takes the color well and feels wonderful on my skin. "Three Butters is now my favorite go to"
COMMENTS: Lovely soft feeling bars of soap, this will be my go to from now on, lathers great and doesn't dry your body out. COMMENTS: This is a great base!! • All three butters are incorporated!! "As always, excellence in detergent free bases..."
COMMENTS: Like all WSP detergent free bases, this one rocks the soapbox! We love to make embeds using the M&P for our CP and CPOP soaps. Colors beautifully, low sweat - just put finished soap in front of fan and let them dry really well. 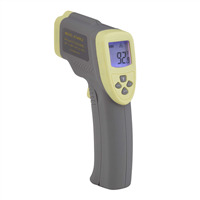 COMMENTS: This product is just what I would expect from Wholesale Supplies Plus! Easy to use, very versatile and great quality. COMMENTS: I'm a new user of the DF bases, and I love this triple butter base! It's so smooth and creamy and lathers so beautifully! "Love it! But somewhat drying." COMMENTS: I liked this soap but it was a bit drying to the skin. After a few uses my hands seemed to be drier than they usually are. 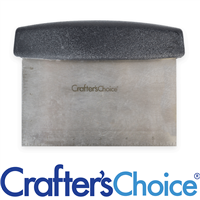 "Crafters Choice™ Detergent Free Three Butter Soap"
COMMENTS: This 3 butter soap is very good in all but one respect and I agree with the previous reviewer that said it dries out the skin. It worked great for all my melt & pour uses but was a tad drying. "Purchased triple butter for moisturizing benefits:"
COMMENTS: I am looking for a M&P soap to teach a local class soap making. I once made a mistake of teaching a lotion class with a pre-made gallon of lotion and unfortunately, the lotion dried out our hands after daily uses! Before I teach a soap making class I had a few different people try the soap and wanted to get results to decide the best soap to use. One of the testers trying this soap works in healthcare and is always washing her hands and so she used the soap every time she washed her hands and she reported back after a few days how the soap made her hands very dry. I was sad to hear. I was hoping the butters in the soap and with the soap being detergent free that it would make a wonderful moisturizing soap that would help soften skin. This soap is very creamy and feels so moisturizing. I have been trying the soap in my shower and I did notice it did not moisturize my skin as I thought it would. I wonder if I can add something else to the soap. I think I will try a glycerin based soap since I live in a very dry desert climate and see if that works for the soap class. I am thinking it's the climate I live in and not the soap as to why it's drying. But I ordered a few different types of soap so I will see how they work out. COMMENTS: Perfect for beginners! Made soap making EASY!!
" Detergent Free Three Butter Soap - 2 lb Tray"
COMMENTS: Detergent free- no perfume, dyes, etc... the way to go! and then you add your own to each person's needs - some can't handle dyes and perfumes so this is nice and clean and easy to use for soaps! COMMENTS: I use this product in my sugar scrub cubes and absolutely love it! I love that there's three butters in it. The soap is super moisturizing and feels great on skin! Doesn't leave behind a film or anything! "CC DF Three Butter Soap"
COMMENTS: Used this base for a Pink Himalayan Spa soap. Love it! Didn't leave my skin feeling dry or tight. Would like to find a way to increase the lather, but that could have been due to my fragrance oil, maybe? I love everything else about it and will definitely be getting this again! "Great Soap for Dry Skin"
COMMENTS: Very moisturizing soap. Will definitely purchase again! "Best Soap Bases I have ever used"
COMMENTS: This is now one of my favorite MP bases. I love the texture and creamy bubbles, it has a nice subtle scent that it covered easily if you don't want it. I like to test with the 2lb blocks but i will definitely be getting larger blocks of this now. I've found that detergent free soaps leave the skin feeling much softer, with no film. I recommend this to anyone making MP soaps. "Wonderful soap for dry skin"
COMMENTS: I have certain recipes that use the 3 butter soap base. The soap works nicely with salt scrub bars. Will buy this frequently. Customers love it. COMMENTS: Great quality as always - thank you WSP ! COMMENTS: Great product. Once again thank you WSP. COMMENTS: awesome bases, thank you! "The perfect soap IMHO! " COMMENTS: This soap is a staple in my soap shack. The lather is creamy and my skin does not feel dry after using. I also do H/P and C/P soap, this base is just like I made it from scratch myself! COMMENTS: Melts evenly and easily. Nice feel on the skin and great bubble. COMMENTS: I primarily use the MP bases to make solid sugar scrubs. I have enjoyed all the detergent free MP bases I have used! COMMENTS: this three butter soap base is the best. customers love the soap. use alot with molds. COMMENTS: I ordered this to make a nice soft holiday scent last year. My customers love it. I love it! Makes your skin very soft. It has a pleasant but mild scent that incorporates essential oils very well. I love the color and the way it blends with larger additives (flowers, peels, etc.) I definitely recommend this soap base! COMMENTS: I bought this to make a few embeds for my cold process soap and fell in love with it. I found myself using it for more and more soaps. Next time I'll buy a much larger size. "Great Lather for Detergent Free Soap"
COMMENTS: Was a bit worried about the lather because of the lack of detergents. It has a nice creamy lather that leaves skin soft and clean. Will definitely purchase again. "Melt n pur three butters"
COMMENTS: Love the combo of butters nothing nourishes the skin like butters. Great scent throw and forms well and keeps the shape of mold. Wouldn't buy any other detergent free soaps. COMMENTS: Love this soap base! Many recipes for it! Customers love how it makes their skin feel,! COMMENTS: Creamy lather. Feels great on the skin. One of my "go to" bases. COMMENTS: I am new to soap making but I have used this to make several different soaps and love the richness of this base. I also mix it with clear Melt & Pour base to make decorative soaps. COMMENTS: This was a huge hit with my customers. WSP you haven't failed me. COMMENTS: I use triple butter to make certain soaps. Over all I like this base, but the reason I didn't rate it as excellent is because the base is in a bag, I guess it is poured into the bag, and some of the base gets caught in it when it solidifies. Making it very hard to remove. COMMENTS: I have used this soap for awhile now and just love it! COMMENTS: I love how soft this makes my skin feel. Also, sets up nice in a short amount of time. Everyone one I have given a bar to loves it. COMMENTS: I like this base, it works well for me every time with no issues. I will definitely keep buying this base. COMMENTS: OMG I love this soap base! It's easy to get out of the molds - takes fragrance oil and dye wonderfully and it makes me skin very happy!!! COMMENTS: Great product overall! Base accepts fragrances well! COMMENTS: In the past I've stuck with my tried and true, goat milk and oatmeal m&p base. I decided to branch out and tried this base. Very glad I did. Hard bars with a luxurious sudsy feel. One customer raving. Will buy again in larger quantity. COMMENTS: I love this base. It is pretty moisturizing. It does have a slight sweet smell due to the mango. However, it does not get in the way of my fragrances. COMMENTS: I used this for the first time last weekend and I love it! It has a very smooth, creamy feel and did not interfere with the fragrance oil scents that I used, quite to my delight. This is my go-to base from now on - I have been purchasing 2 lb. trays of various bases, but will be graduating to the 24 lb. block of THIS base now! COMMENTS: I love having the three butter blend for myself, I don't like to share but when I have people love it. I like this mixed with pink grapefruit EO and its an amazing soap. It's creamy, and leaves my skin feeling soft and moisturized. COMMENTS: wonderful. super creamy, super nice. easy to work with. nice label appeal. COMMENTS: Oh my goodness....very creamy and loved using along with the Goat's Milk MP. Makes a great soap bar! "Wish I could give it 10 stars"
COMMENTS: What's not to love? Shea, cocoa and mango butter to soften, yet it leaves skin perfectly clean; far cleaner than any shower gel I've ever used. I've sold more soaps made of this than any other base. My customers and I love it. COMMENTS: This was the first melt and pour base I've ever used and it delivered everything I wanted and more. I don't usually make soap but I thought it would be a nice change of pace for Christmas. A friend of mine tried two of the soaps I made from this base and she said it was the most gentle soap she's ever used on her eczema. She won't use anything else when she has a flare up. Needless to say, I'm going to buy a lot more of this and make a ton of soap from this base if it's that nourishing and soothing! "Even better than Goats Milk base! " COMMENTS: I thought the goats milk base was awesome on dry skin but this even tops that! It's super moisturizing and feels lovely after you use it. My customers love this and I've got to keep ordering more! "Love how my soaps turned out!!" COMMENTS: Loving the detergent free aspect of my soaps!! Beautiful bars! COMMENTS: Worked so well in swirling colors to make the bar look marbled. COMMENTS: I love the creamy feel of the soap. My daughter who have dry skin to actually comment on how soft and smooth her skin feels out of the shower. COMMENTS: I've never experienced a soap like this. Our customers RAVE about how moisturizing it is & they love the fact that it's detergent free. This stiff melts well with other products too so you can easily incorporate a cleanser into many different products you offer. I couldn't be happier. COMMENTS: I use this MP soap mixed in with 2 other MP soaps to make a very moisturizing exfoliating soap with a luffa slice worked right into it. I have given out 4 sample bars, and have gotten orders for 17 more bars, just from that! The MP soap bases are super easy to use, and the moisturizing properties of the 3butter one, allows my customers who have dry skin to actually comment on their smooth and moisturized skin for days! COMMENTS: This soap is so easy to use to make imbeds for my CP soaps. I like that it is opaque. Easy to work with. "I love how smooth it is "
COMMENTS: I can't say enough about how I love this base, it makes such a nice creamy soap. I also love the fact that it is detergent free! I will definitely be ordering more. COMMENTS: Love the three wonderful butters in this soap. Lathers great and holds scent well. I've tried all kinds of different soap bases and I do believe I'll be sticking strictly with this base. Wonderful soap! WSP Response: Welcome to the soap making family! A couple of tips based off of your comment. Firstly, there are benefits to a detergent free soap base but if you are looking for 'big bubbles' the detergent is what causes those bubbles. You can try out any of our Signature bases for a good lather. Secondly, there are two options to suspend additives in your soap base. Your first option would be using a Suspend Soap Base. You can also allow your soap base to cool prior to adding in an additive to allow for better suspension. Happy soaping! COMMENTS: This is my favorite melt and pour base. It's nice and creamy. COMMENTS: This soap is very soft and somewhat sticky. In the summer, it sweat A LOT. Also, has a strong smell. Don't love it. Sorry! COMMENTS: I love this product and buy it all the time. WSP Response: I am sorry that you are having trouble with this soap base. Our Detergent Free soaps are considered to be low sweat because after a curing period they typically do not sweat at all. If any sweating does occur, let your soaps set out to "cure" for up to a week. Once sweating is gone, wrapping will not be necessary. COMMENTS: Easy to use. Love the feel of the soap on your skin and leaves skin soft. Lots of sudsy bubbles. COMMENTS: I have tried A LOT of different bases both from WSP and other companies. Primarily I like that this is detergent free. Secondly, but very important, it melts quite nicely and smoothly. My skin feels great after using this and I like being able to tell customers that it contains cocoa, mango and shea butters. It's also soft enough to cut fairly easily. I purchase the 2 lb. packages, because it's just too difficult for me to manage the giant block and it's not that much more $ when you figure it out per ounce. Plus you can keep the containers to store embeds. COMMENTS: This soap lathers exceptionally well and leaves the skin feeling soft. Will buy again! COMMENTS: Very nice soap base and easy to use. I like the fact that it is detergent free. COMMENTS: I used this soap and added some lavender essential oil and some oatmeal and it did wonders for my kids' skin. It also nourished mine too. It suds great and held the scent of the essential oil very well. I love this soap and will continue to buy more. COMMENTS: I love this base and that it's detergent free. Add the three butters and you have a great moisturizing soap. It's easy to work with and allows enough time to add swirls, embeds, etc. It does sweat a bit, so not completely equal to CP, but hey, it's melt and pour. I've combined this with clear for vivid colors or layers and never had a problem. The big block is hard to cut so I spend a few extra dollars to get the 2 lb. trays--easy! COMMENTS: Makes a lovely bar of melt and pour soap, smooth and creamy, lots of sudsy bubbles. COMMENTS: It is such a nice creamy and full of suds to lather up with! I used a lemon essential oil and it was a nice change from my usual favorite of goats milk I will buy again! COMMENTS: I like how it was easy to cut and melt. It can easily blend with colors and scents. "Detergent Free Three Butter Soap - 2 lb Tray "
COMMENTS: I love the moist feel of this soap. You can tell it is full of wonderful things for your skin. • could use a litle more bubbles! COMMENTS: I didn't think this base would give a good lather but it does and I love that it is moisturizing! COMMENTS: I just love the 3 Butter Detergent Free Base! It's so easy to use and the butters make this soap very moisturizing. I did notice a little sweating on some test bars, but it's most likely my fault for not wrapping them well. It holds scent very well too! Excellent product! COMMENTS: I usually buy the big block of soap but since it was out of stock, I bought these 2-lb trays. They are so nice and convenient - no lugging the huge box around and chopping pieces off. Plus, the sealed trays keep the rest of the soap fresh until it's time to use it. And the three butter base is amazing. My customers love the soaps I make with it. 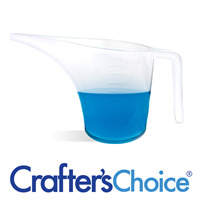 "Crafters Choice™ Detergent Free Three Butter Soap "
COMMENTS: Makes a very creamy lather with very little to no sweat. Love the 3 butters individually and together they make a great soap. COMMENTS: Everyone I have given soap to loves this base it's very Moisturizing. I like this base because you have a lot of time to mix colors together and get a great affect.It also holds scent very well. COMMENTS: Makes terrific embeds, no sweating or separation. COMMENTS: I use the Three Butter M&P soap in my shaving soap bars and my body bars. It holds fragrances really well. I love the final feel of the skin after use its not too dry and doesn't leave a residue. COMMENTS: Nice, rich soap base. Scents and color blend well and it molds very nicely. Love it! COMMENTS: I used to make separate soaps of Shea butter, goats milk, and plain old white. Why make so much extra work when I can use this awesome three butter blend? This is my "go to" base for sure! COMMENTS: This product is so gentle. Customers with the worst skin issues are able to use this soap and they love it! COMMENTS: Very moisturizing for a melt and pour base. Love that it functions like cold process soap. I have purchased this type of soap base in the 24# block as well as the 2# trays...love the convenience of the 2# trays especially during busy seasons. Only complaint is I'm unclear of why the price jumped up $1 out of nowhere. "Very Creamy but not seeing a lot of lather"
COMMENTS: This makes a very creamy, moisturizing bar of soap however I'm not seeing lather. I did mix this with the detergent free baby buttermilk m&p and added colloidal oatmeal, bamboo extract and pumpkin pie spice to the mixture so to be fair it may be the additives taking away the lather. I've got quite a bit to try a batch without additives so I'll see if that mp makes a difference. EXTREMELY PLEASED with the amount of time I had to work with this at low temperatures. This is my first try not using an all natural only oils and lye m&p and I will say it would allow you plenty of time for swirling and embeds. Other soap starts turning to thick glue around 130 but this stated nice and liquid all the way down to 115 F. LOVE that aspect as I make a 20 layered swirled bar where I swirl each layer with a different color and pour one on top of the other. Last holiday it was a nightmare because I had to keep reheating soap and the layer would cool before I could pour the next. Can't wait to try this for that loaf!! COMMENTS: Very bubbly and moisturizing. Changing over to all detergent free bases! "Three Butter Detergent Free Soap Base"
COMMENTS: Ok, I LOVE this base! Tried the detergent free sampler to decide on one main clear base and one main white base. THIS is the white base! It leaves your skin so moisturized! I love the way it sets up with melt & pour, still slightly soft when unmolding, but hardens as it sets. Took color, fragrance & add ins well. No sweating. Got ALOT of rave reviews with this one! I'll be ordering a large quantity as soon as it comes back in stock! "I liked this very much !! " COMMENTS: This was actually my first MP base I have ever used, so I don't have much to compare it to, but I think that the reviews were dead on. The ease of use for this base was great ! It melted into a smooth creamy base, easily and without any problems at all. It took my fragrance and color like a dream, although I did love the natural creamy color of it. Part of the soap I left uncolored for that reason. Once poured in mold it hardened nicely and so fast! I was really surprised about that. The lather is amazing, very creamy, bubbly. I did feel a little dry after but no more so than I normally do after a shower. I love this base and want to order the 24lb block now but it's sold out:(, please restock !! • So easy to use ! COMMENTS: Easy to work with makes wonderful bars, holds scent and color very well! COMMENTS: Before we got married my husband made cold process soap all the time. I never wanted to get involved due my fear of having lye and other dangerous chemicals in the same small house with our very young children. We've made a compromise and are now making melt and pour soap. We've tried several different brands but once I came upon the WSP site I haven't looked back. At first I was hesitant to buy detergent free soaps but this base provides plenty of sudsy fun for my kids. It's creamy and doesn't seem to dry our hands at all. I used this base to make party favors for my friend's baby shower and it worked great in the animal molds; giving me no trouble at all releasing from the mold. This base is going to be a go-to of mine from now on! COMMENTS: This base is easy to work with and produces very little sweat. It holds fragrance very well and is moisturizing and not at all irritating. COMMENTS: Sold out at my last show. "A Keeper MP Soap Base"
COMMENTS: I worked with the Three Butter MP soap for the first time today and it will be a staple in our home and product line. I used the whole 2 pound tray and used four additives, crushed chamomile flowers, chamomile extract and fragrance. I made 4 oz bars using a half cylinder silicone mold and they just popped right out. I washed my face and hands with it and it has a very nice lather and is a gentle soap. "Happy First Time Soap Maker"
COMMENTS: What a great product for a first time soap maker. The soap is easy to cut and measure and hardens pretty well with additives. I haven't had any sweating issues, I wrap them in plastic wrap once I un-mold and they harden even more after more time goes by. I use a double boiler method to melt. Great lather, cleans well and doesn't leave a film behind. COMMENTS: This three butter soap is so smooth and gives lots of lather. I love to use it in my exfoliant soaps. It is a staple in my soap making supplies. "Hard to cut and no bubbles "
COMMENTS: I decided to give this one a go, but unfortunately, after buying 24 pound block I discovered it is very hard to cut and has NO lather. Now I need to figure out how to use this up? COMMENTS: This soap base is wonderful! People can't get enough of it! It moisturizes so well with its blends of butters and is perfect to use just as it is. It is easy to work with and customize as well. COMMENTS: This is one of my favorites. It is very gentle on the skin and not drying at all. I love the scent by itself but often use essential oils as well . Melts nice. Nice bright white. COMMENTS: Its a great Quality Soap. I'll definitely buy this again. COMMENTS: I got this as part of the snow ball soap kit. It was PERFECT. I purchased as a craft to do with my daughter can not recommend it more. Fabulous. And easy enough for small children. COMMENTS: I think I found my "signature" soap base. It's so moisturiing, has excellent lather, & doesn't dry out my skin. It's a hit!! 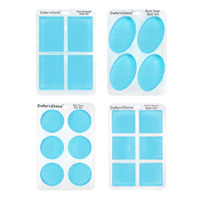 COMMENTS: I started with sampler set of MP soap bases and have to say that this was my favorite of all, so I ordered several more of the Three Butter MP base. It is very luxurious, creamy and moisturizing. COMMENTS: Doesn't dry skin out at all. Great and easy for making soaps with. "Nice M & P Soap Base"
COMMENTS: I do like this Detergent Free Three Butter Soap but just not as well as the Regular Three Butter Soap. My Customers like the Original one better...so I use half of the Detergent Free and half of the Regular Three Butter Soap and WoW...What A Mix! COMMENTS: Another must-have for me. A very good seller, I do a lot of custom orders with this one. Easy to work with, feels good on the skin. I've added goat milk powder to this, and it's just delicious! COMMENTS: I want to like this so much, the price is better then my usual supplier but the quality of soap is not standing out to me which is frustrating. Some sweat problems and its cool out, not sure what that's about with all the low seat reviews..? Also colors don't mix as well and my high quality DF free goats milk and castile from other supplier. Did not lather the way I was hoping and was not as moisturizing as I thought it would be, especially with triple butters? So really wanting to like this and will give it more time because the price is right, ultimately mu customers will decide. COMMENTS: Great base. Creamy lather and very moisturizing. COMMENTS: this is a nice combination and holds colors well and scents. has a creamy lather that I really like.
" Detergent Free Three Butter Soap - 2 lb Tray "
COMMENTS: Crafters choice Detergent Free Three Butter Soap - 2 lb Tray. This is just the best. Smooth melt and easy to work with. I just love it. COMMENTS: I love this base! I use it either in a blend or by itself and it always turns out so nice. Feels nice on the skin and takes colors good. Will definitely be buying more. COMMENTS: This base is so creamy and moisturizing! My customers love it and it's a really easy sell just from the name. "This Review is for the Clear Detergent Free Base"
COMMENTS: I ordered the 3 butter melt and pour and was sent the clear instead. I called WSP and they were quick to send out a replacement. So I got to use a product I would have never ordered. This was my first experience with melt and pour. I have to say I love melt and pour soap as well as my husband. It lets you be very creative. I made caramel apple soap with an orange and a black layer and a skull ring embed for my daughters class. They turned out lovely! I will order this again. My only complaint-this needs more oils-olive,coconut,safflower. The more natural the better for me and clients. COMMENTS: I usually only use my Cold Process Soap, but found this base and absolutely love it. It is really bubbly and moisturizing. COMMENTS: This is my favorite white base. The lather is fantastic and it makes beautiful pastel colors with pigments (no micas). Super easy to work with. "How can you not love this base? " COMMENTS: I love using this base in my products! Your skin feels so soft and moisturized. Plus, no odor or sweat that I have noticed. It is also very easy to work with. COMMENTS: Although it is a low sweat product, it did still sweat quite a bit. I was a bit shocked as to what to do since I used this as one of my first MP soap projects. Other than the sweating, the soap still came out really nice ans when used in the shower, it's very soft and soothes dry skin.